CARSON — As a result of the March 5 election, supporters of Helen Kawagoe have declared victory in their battle to have Carson’s City Council Chambers named after her during her lifetime. Kawagoe, who served as city clerk for more than 37 years, had to resign after suffering a debilitating stroke in September 2011. There has been a 3-2 split on the City Council, with the majority voting to rename the chambers upon Kawagoe’s passing, citing a policy of not naming city sites after living persons. Mayor Jim Dear and Councilmember Elito Santarina, who sought to rename the chambers immediately, have often clashed with Councilmembers Lula Davis-Holmes, Julie Ruiz-Raber and Mike Gipson. They also disagreed on how to replace Kawagoe. The minority wanted to appoint her chief deputy, Wanda Higaki, who had been with the City Clerk's Office for 31 years, but the majority wanted to open up the position to applicants. There were 10 applicants, including Higaki, but the majority chose Donesia Gause, who previously worked in the city clerk's offices in Long Beach and Compton. Dear and Santarina objected because they were not present when the vote was taken at a special meeting. In the election, Davis-Holmes unsuccessfully ran against Dear, who was given a third term with 6,419 votes (59.5%) to 4,306 (40.1%). Davis-Holmes will remain on the council. 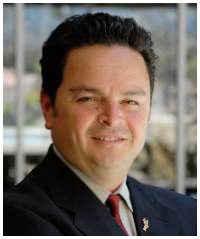 Gipson won re-election with 5,536 votes (29.2%), but challenger Albert Robles, president of the Water Replenishment Board of Southern California, finished ahead of Ruiz-Raber, 4,512 (23.8%) to 4,091 (21.6%). The Helen’s Dream Coalition, which was formed in response to the council’s vote, said that its goal was supported by five of the six challengers, including Robles. Robles' endorsers included Dear, Santarina, and former mayors Mike Mitoma and Vera Robles DeWitt.